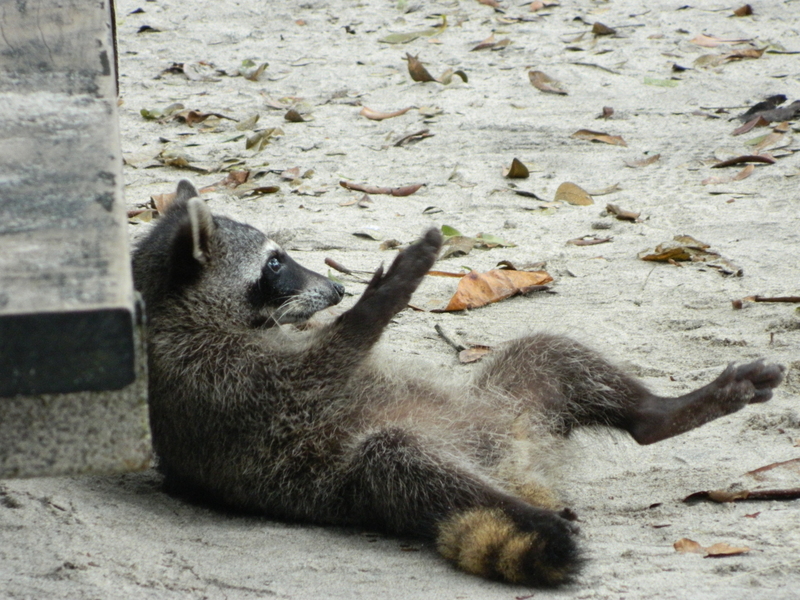 I love this photo I took at Manuel Antonio National Park in Costa Rica, not just because the raccoon is a furry, adorable creature but also because its body language is imparting some valuable travel advice: don’t be afraid to just chill! Two of the major distinctions between tourists and travelers are the use of time and the areas of focus. Tourists feel like they have to be on the go at all times. Every hour has to be accounted for: first we’ll go to the museum and then we’ll tour the monument and then we’ll see the famous shrine. (Or, if it’s a more outdoorsy location, first we’ll go rafting and then we’ll hike up the volcano and then we’ll do the canopy tour.) Tourists impose their schedules on a place and expect it to dance to their rhythms. Their trips are largely about achievement —- the whole emphasis is on methodically ticking off landmarks or activities from their checklists; the people and cultural life of a destination are of relatively minor importance, simply a bit of “background flavor” to perhaps slip into the slide show once they get back home. Travelers turn it the other way around —- they love to let a place’s rhythms impose themselves on them. They know those rhythms can’t be absorbed unless they slow way down and take the time to listen to and feel a place’s pulse. Rather than engaging in forced marches and checking things off their “to-do” list, they take long, aimless ambles through the streets, sit for long stretches in sidewalk cafes and plunk themselves down on benches in plazas or parks. Instead of running around a country, they let the country come to them. The emphasis is not on seeing all the sights, but on being touched by the simple delights of what is taking place around them. For travelers are aware that the true treasures of a country aren’t found in museums or architectural marvels, but in its people and their customs. ← Kids, Soccer And A True Hero!